25th March - The tadpoles are now outside of their eggs, but remain on or near them for a few days. They stay attached using a sticky gland at the front of their heads. They cannot open their mouths at this stage. 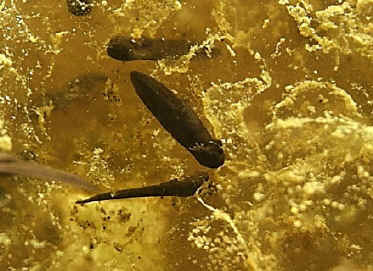 Notice the feather-like gill on the tadpole's side in the middle of the image.